SmartFlow is a system used for monitoring waterworks infrastructure parameters. It is based on sensors built into the waterworks around the city. The sensors collect and transmit real-time information about water distribution which is then analysed and processed by the system. In case of any anomalies, location of the fault is visualised on the map of the city, making it easier for the engineers to locate and repair the fault. The system effectively tackles the problem of hidden leakages which means that if failures occur, they are attended to quickly and no longer generate major losses. 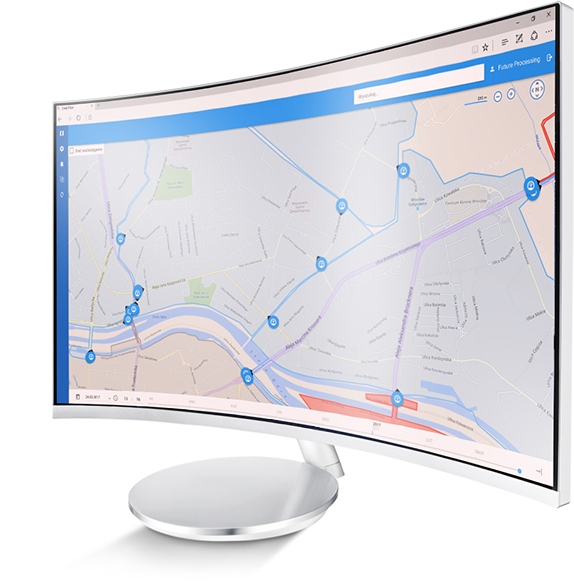 SmartFlow helps to visualise the waterworks’ zones on the map of a given city. It collects data on water flow and automatically analyses it according to the predefined norms. In case of abnormalities, alerts are displayed on the map of the city. Thanks to historic data and graphs showing parameters, an analyst can verify the legitimacy of an alert and investigate the reasons of its occurrence. It takes around 180 days to detect anomalies in the water supply system. Thanks to the automatic analysis of data and real-time alarming, SmartFlow can help water supply enterprises to detect the so-called ‘hidden leakages’ in 72 hours and react quicker to these occurrences. Did you know that in the last 14 years the cost of water usage in Poland increased by 145%? Our environment keeps changing, water resources shrink and become more expensive. This is the reason why most countries put such emphasis on pro-environmental policies. SmartFlow minimises water loss and helps to prevent hydrological droughts. An individual approach to local conditions helps to monitor the water supply system better. Visualisation of anomalies on the map of the city is a crucial element in increasing the control over the network’s condition and over the continuity of water supply to citizens. Storing current and historical data aids better management in terms of investments and modernisation of the network. Real-time reading of flowmeters and automatic analysis of water network parameters aids faster reaction to failures. As a result, these failures can be fixed immediately and the water supply enterprise minimises water losses. The analysis of waterworks data used to be a painstaking and long-term process. SmartFlow analyses the data automatically, in real-time. Comparing the parameters and visualisation of the results in one tool helps to diagnose the state of the water supply system and increase the effectiveness of analysts’ work. Depending on the needs of the enterprise, SmartFlow can analyse the pressure, meter readings in either detection of the flow, the velocity of the flow in either direction, the speed of the flow in either direction, the temperature, the battery voltage, the quality of water. It can also monitor the work of pumping stations, hydrophones and other crucial infrastructure points in detail. In cooperation with MPWiK Wroclaw and Microsoft, we came up with the solution that can help waterworks enterprises manage their water resources in a more eco-friendly, effective and economical way. MPWiK Wroclaw is the municipal water supplier for the Wroclaw agglomeration. The company is in the top 5 biggest water supply enterprises in Poland. It is a perfect example of harmonious combination of centuries of tradition with dynamic development based on innovation and implementation of modern technologies. MPWiK conducts an ongoing monitoring of the carbon footprint and carries out projects that eliminate harmful influence of their enterprise on the environment. As a responsible entrepreneur, the company cooperates closely with universities and international research bodies in the field of environmental protection. The nature of their business enables them to support the most talented graduates of technical, science and economics universities in their career paths. MPWiK also successfully implements its educational mission through multimedia Centre of Environmental Education, HYDROPOLIS, which is solely devoted to water-related issues. Additionally, for a few years now it has been engaged in taking care of the cultural heritage and industrial architecture for the local community. Application in easy and transparent way allows to monitor waterworks infrastructure parameters. Notification system, with use of customized warnings and alerts, indicates dispatchers the corresponding DMAs and flowmeters with found abnormalities. It gives waterworks service the ability to react quicker and more precisely to potential leakage or unauthorised consumption. 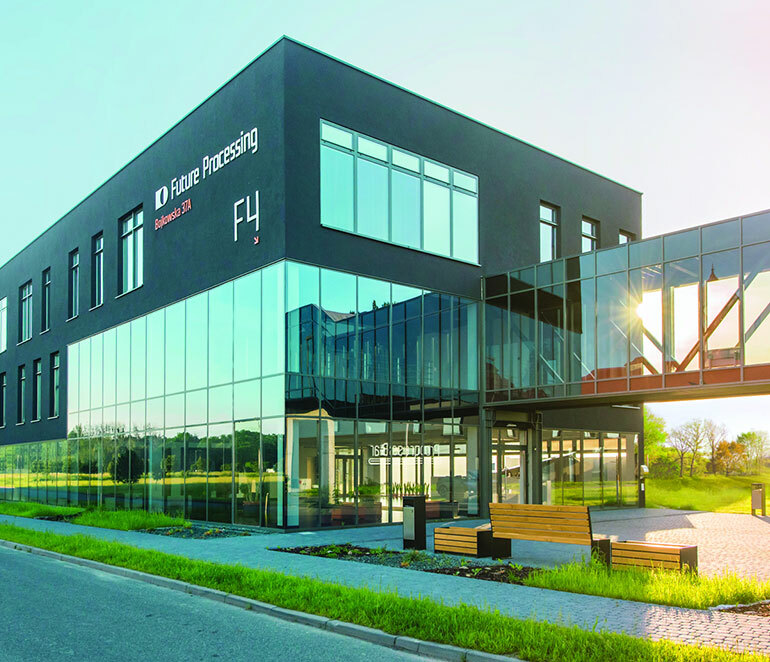 Future Processing is an experienced Polish offshore software development service provider, happily undertaking ambitious technological challenges. We are an experienced provider of bespoke software development services. Our company was founded in 2000 by Jaroslaw Czaja and we currently employ over 900 people. Thanks to the expertise and skills of our team members, we create high-quality, innovative solutions for customers operating in different sectors of the market around the world. Our company is distinguished by the passion with which we create custom software. To be able to fully meet the needs of our customers, we go beyond a simple identification of needs. We use our experience, technical expertise and creativity, so that our customers get the software that matches their requirements. For several years now, we are at the forefront of Deloitte Technology Fast 50 ranking, distinguishing the fastest growing technology companies in Central Europe. Our experts are willing to talk about the needs of your company and suit SmartFlow to your individual needs. You can contact us in relation to your personal data by sending an email to the following address: abi@future-processing.com. We process your personal data based on your consent in order to handle your inquiry and for further contact. We will process your personal data until you withdraw your consent to such processing.